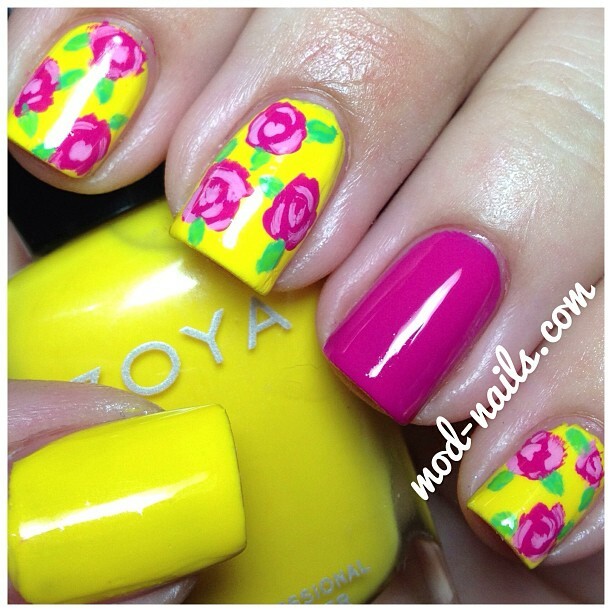 I love this mani on your newly minted shorties! Aww, you poor thing! I hate the crushing sting of a smashed nail. 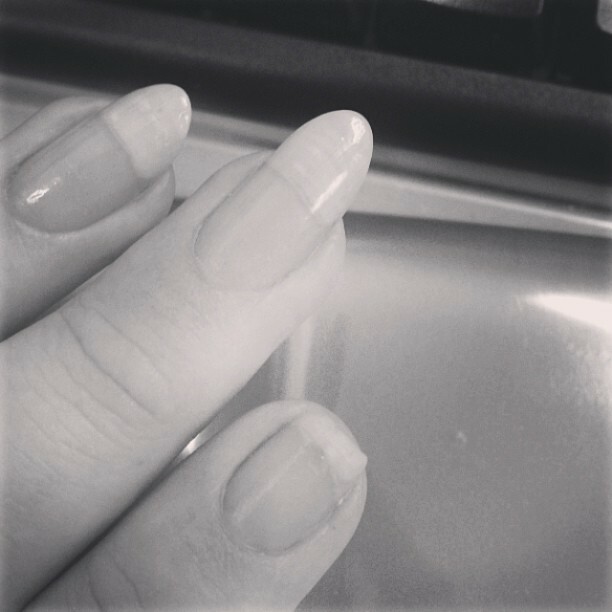 At least you have really long nail beds, so even with a broken nail you still have elegant tips. Mine are cropped really short at the moment because I had a full hand mutiny and all my nails decided to get busted in some way or another. I must say I am enjoying cropped nails at the moment so I'm not bothered about it anymore. That yellow polish is really nice. I agree, I'm not a yellow person but sometimes a bright colour just begs to be loved. Love the roses too. I know :( I was so bummed especially because I was waiting for them to grow so I could reshape them but oh well. And nooo :( So sorry to hear that! Although I agree it's nice not scratching myself on accident haha. And agreed :) Yellow is my least favorite color but this one was so pretty. And thanks love! So pretty! I'm not a fan of yellow but this is gorgeous and goes brilliant with the pink. Thank you so much! And I know this ones just so pretty!